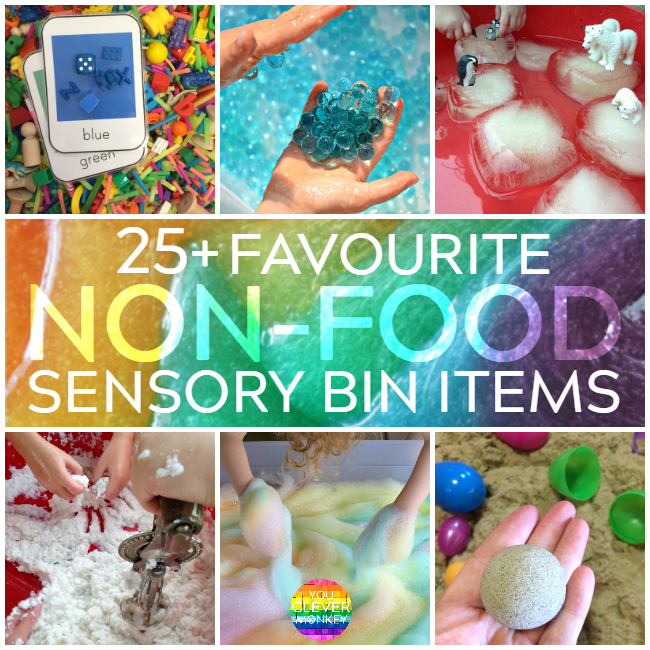 Every so often the discussion about using food vs non-food in sensory bins pops up in discussions around the web. We use both but when it comes to food, I do try and use expired or out of date food or like the day a new 2kg bag of flour fell of the top shelf of our pantry and onto the floor - food that would have only made it to the bin otherwise. Of course, cooking with your kids is a fantastic way to experience hands-on play with food in a respectful manner. Some preschoolers may disagree but play dough is not food. It does allows for plenty of different ways to play. 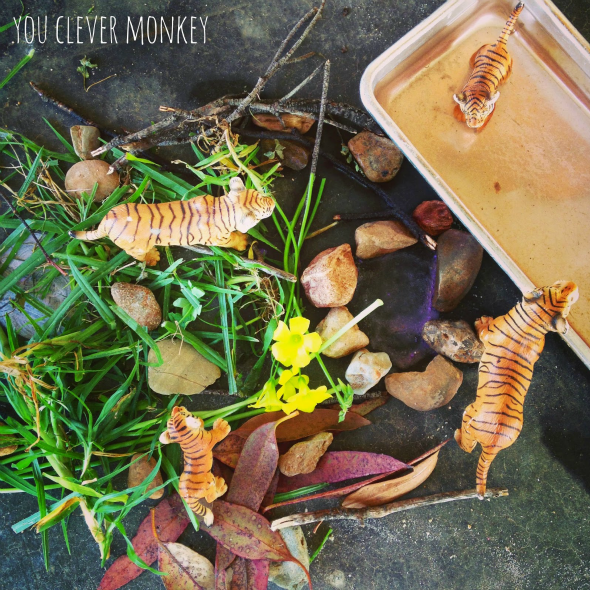 Why not set up a pretend environment to encourage play? 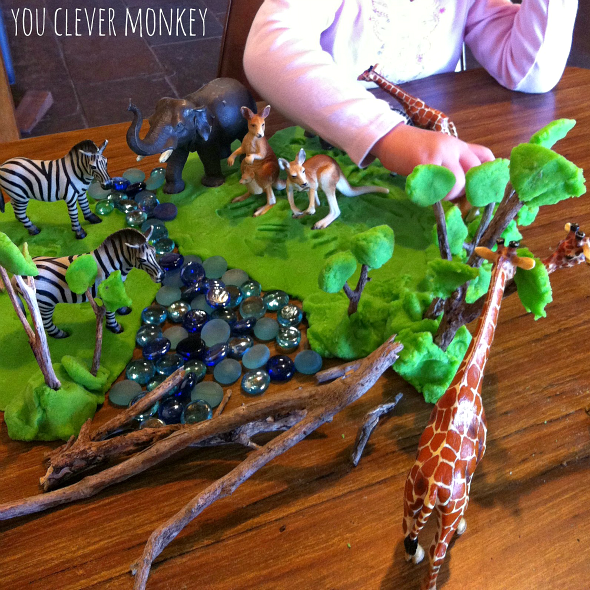 A handful of Schleich animals and your preschooler will want to play all afternoon. 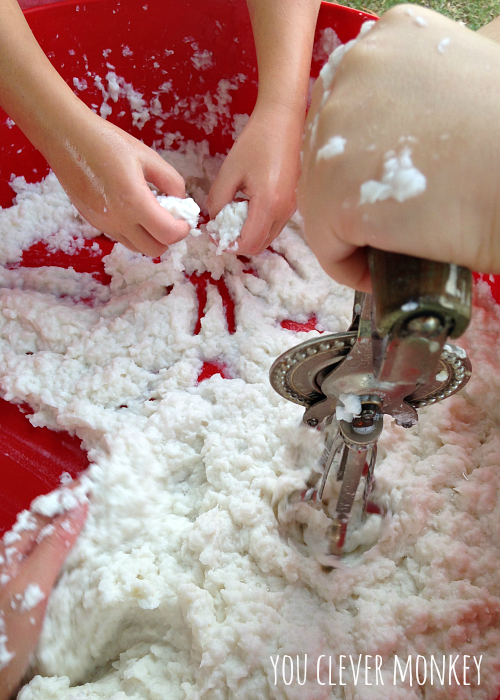 Paper pulp is easy to make from recycled shredded paper and provides such a rich sensory experience. You can't help but touch it and mush it together again and again it's feathery texture is so inviting. It's a great way to stay cool on hot days too. Why not make some of your own paper after play? Here's how to make your own paper. Or try making some clean mud. 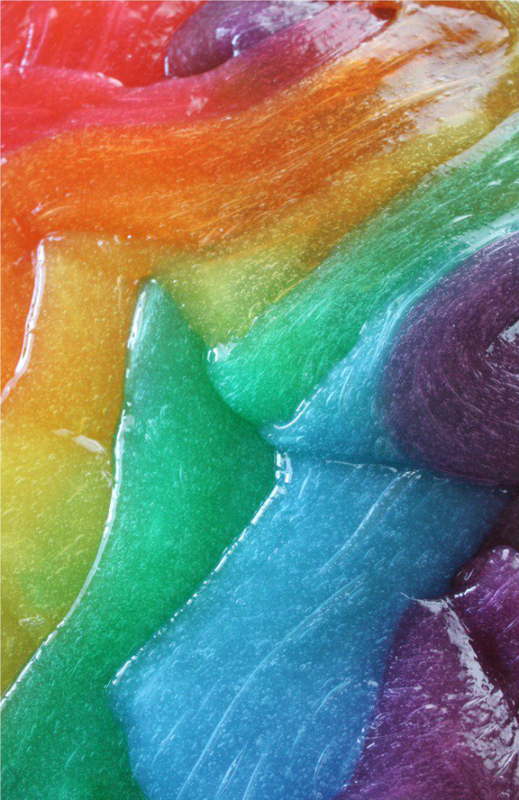 It's silker than paper pulp and can be turned into beautiful artwork after play making it a more sustainable choice of material than some. Rock salt is available in bulk and was perfect for creating this 'Frozen' inspired terrain. 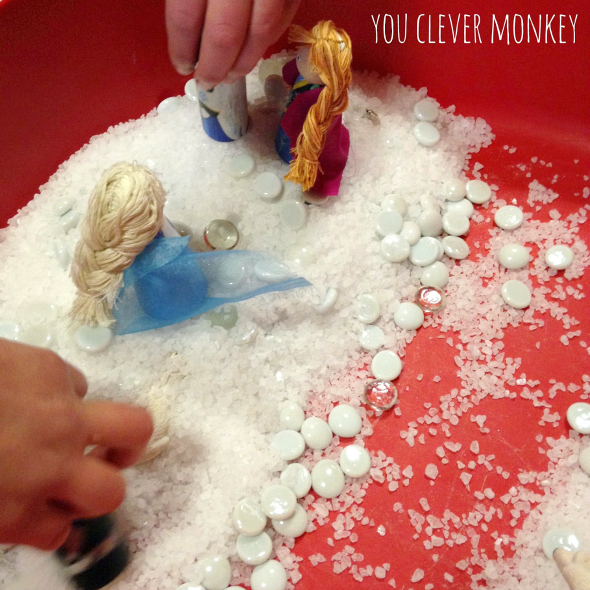 We need to create a suitable setting for our DIY Anna and Elsa. Rocks we love! Easy to find, simple to store but so many different ways to play. Perfect for making invitations to play! Check out these DIY projects to try. 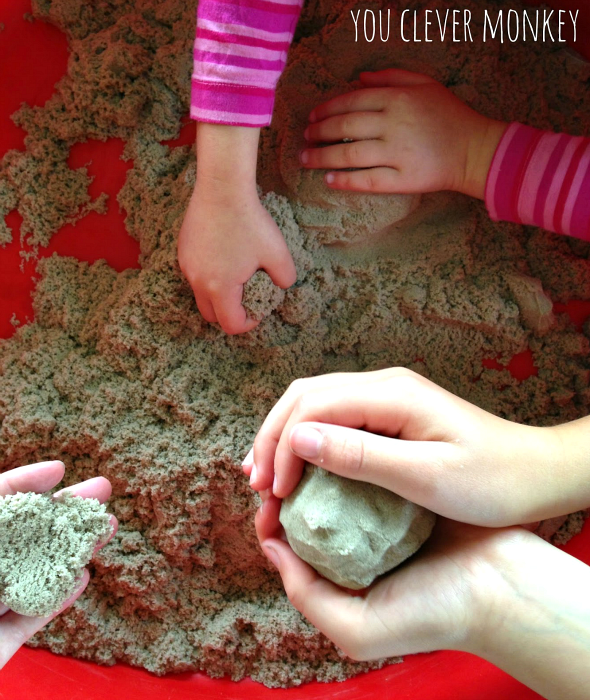 Kinetic sand is a new favourite here. Expensive to buy but ours has lasted well and no-one can keep their hands out of it! And it so versatile, we keep finding new ways to play with our supply. We loved recreating these rainbow soapy bubbles like Fun At Home With Kids. 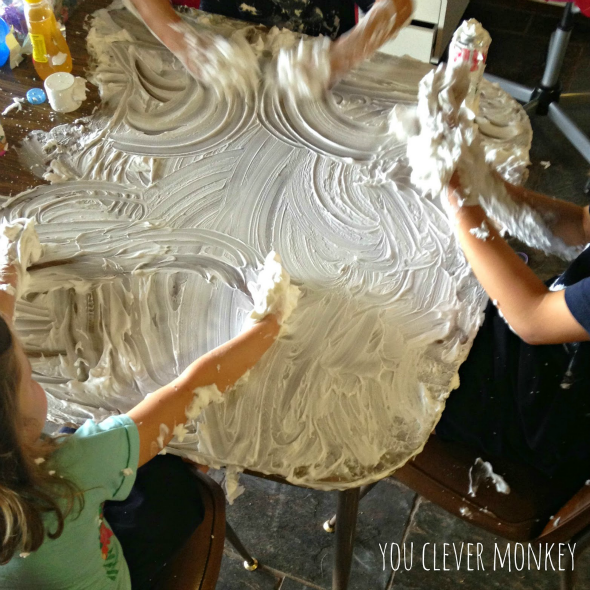 Shaving cream - so simple and the clean-up is surprisingly easy considering the mess. Play with just the foam or add some food colours to turn it into paint. Hot weather? 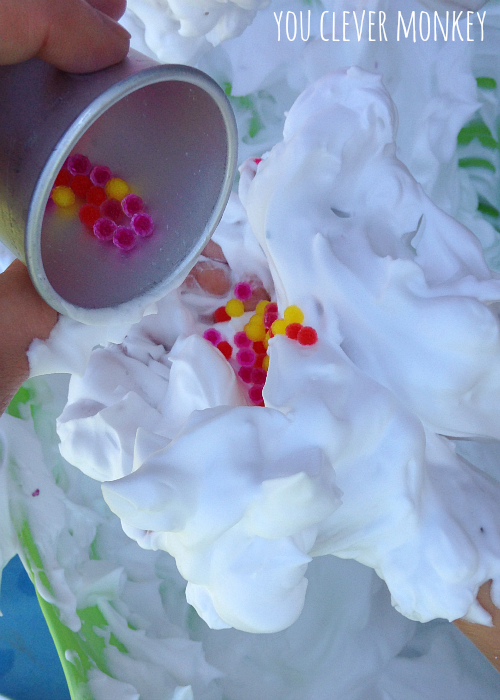 Shaving cream and ice are a great way to spend a hot afternoon. 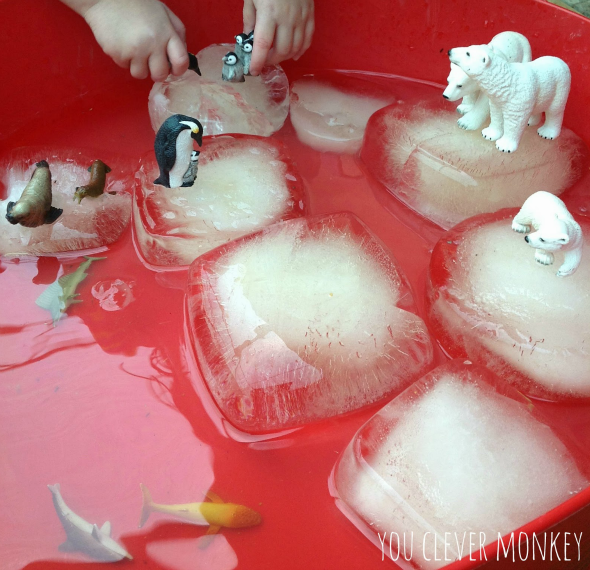 Frozen blocks of ice are another way to play on a hot day. 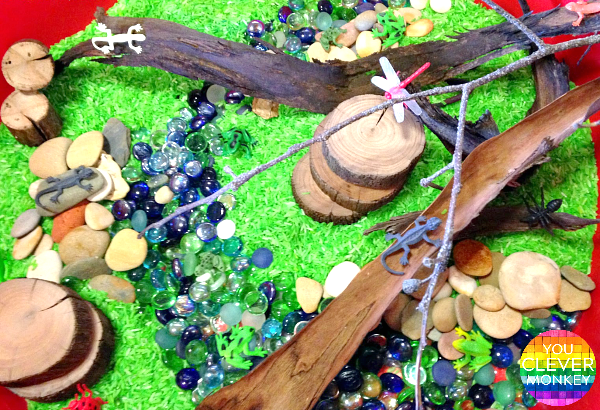 We love our Schleich animals for creating small worlds for play. 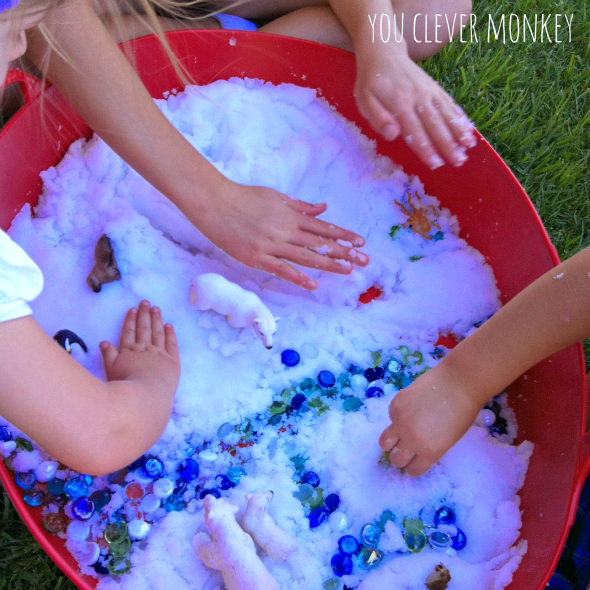 Fake snow offers another alternative for warm weather days. Add some glass gems and some animals to recreate to Arctic small world. 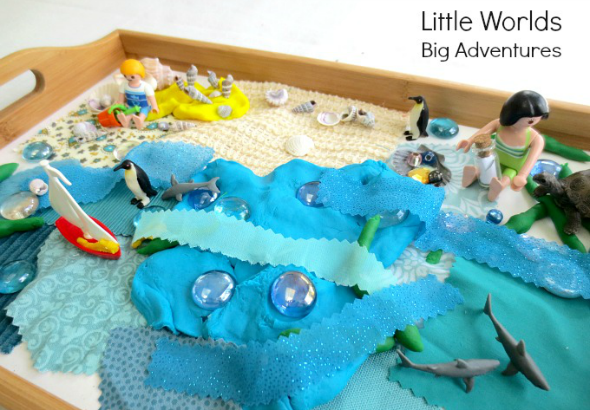 Use some fabric scraps to create your own small world like Little World Big Adventures has done to create their day at the beach. Paint! 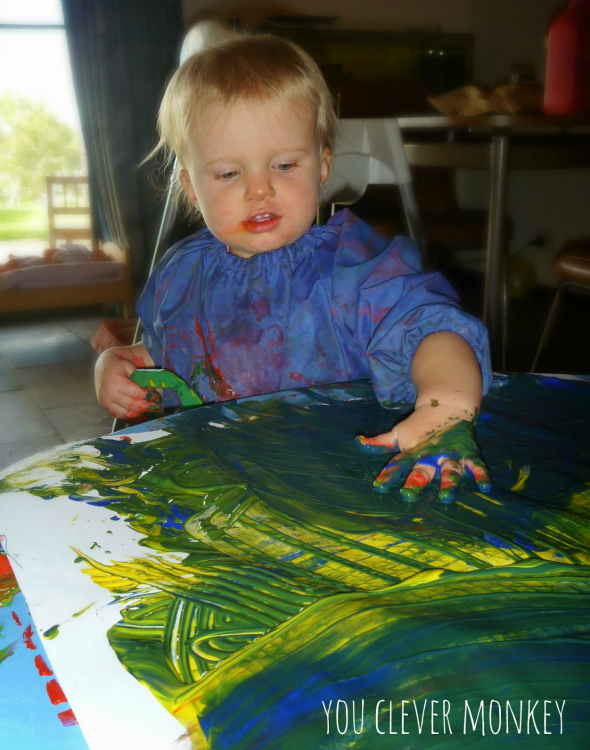 Finger painting never gets old whether your child is a toddler or a tween. Found objects = the cheapest, simplest way to play! And I always find the ownership of this play by the child is always high. Shredded paper. Better when there's lots to play in! Again this one was super easy to clean up when played outside and the birdseed made such a lovely sound being poured from one container to another. 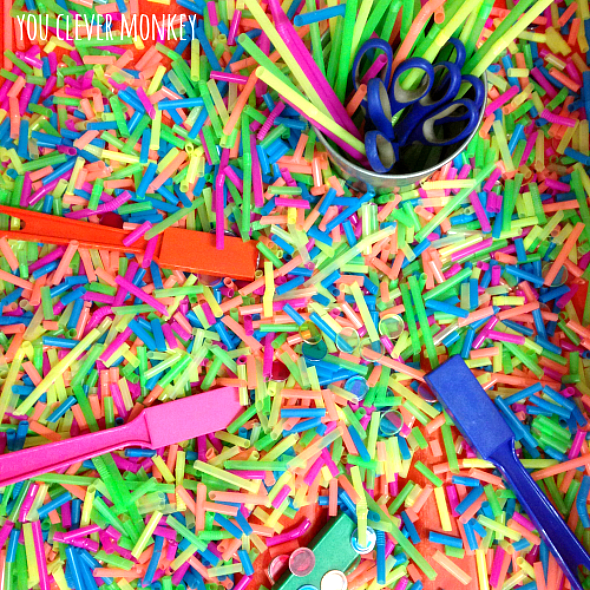 This sensory bin filler proved a big hit with my students. With many still learning how to use scissors correctly, I had created a cutting invitation using plastic straws not realising that that cut straws would prove to be the perfect sensory base for many other invitations in class. They feel lovely running through your hands and make a lovely sound too. 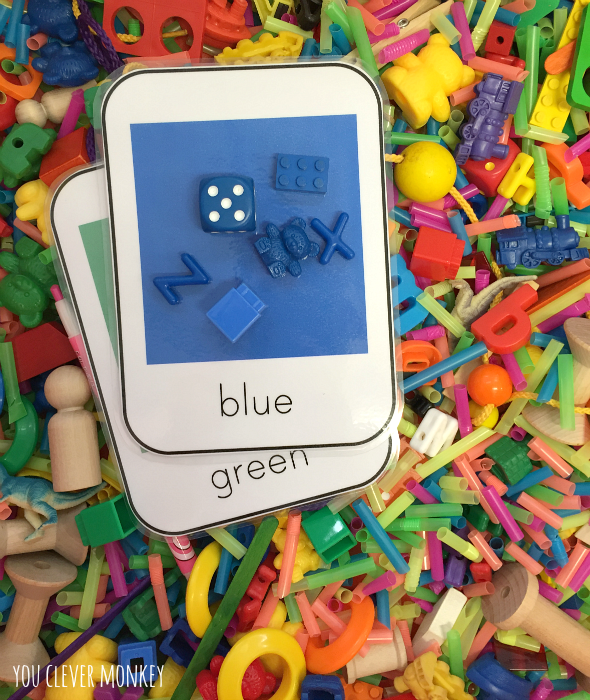 All of the objects in our I Spy sensory bin were chosen to build math rich language during our play. 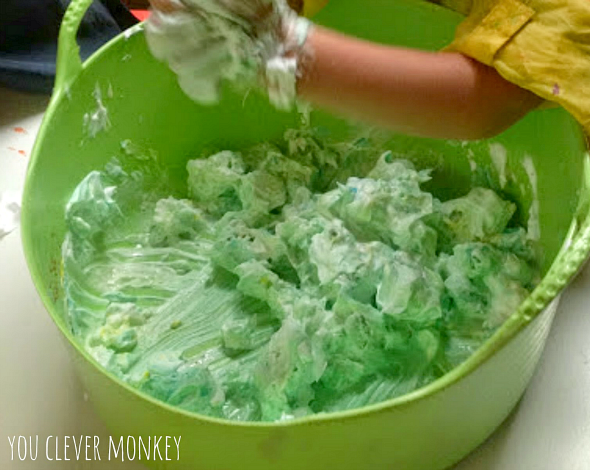 Slime can be used as a based for your sensory bins and the choices of what can be added to your basic slime recipe is endless. 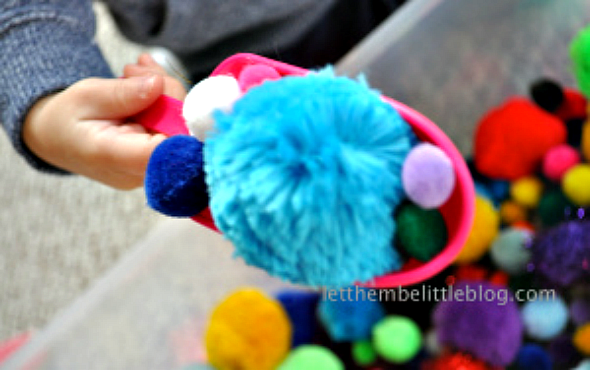 Little Bins for Little Hands is my go to place when it comes to slime recipes like their rainbow slime. 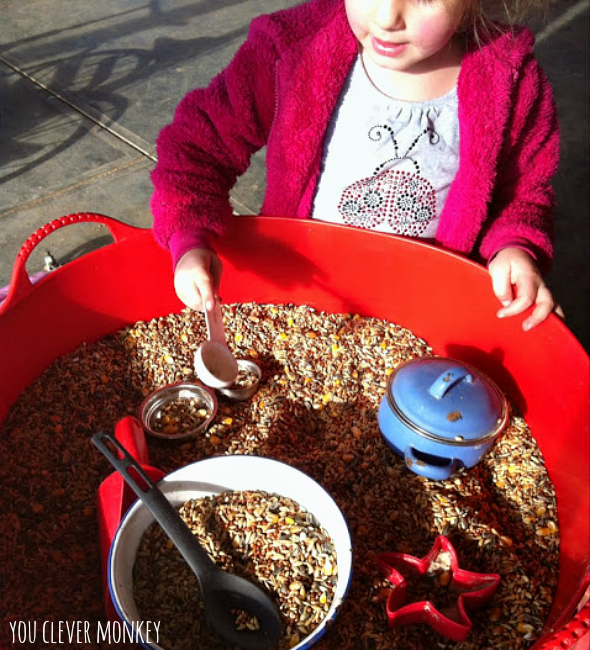 Possibly the quietest of all the sensory bin materials to chose. 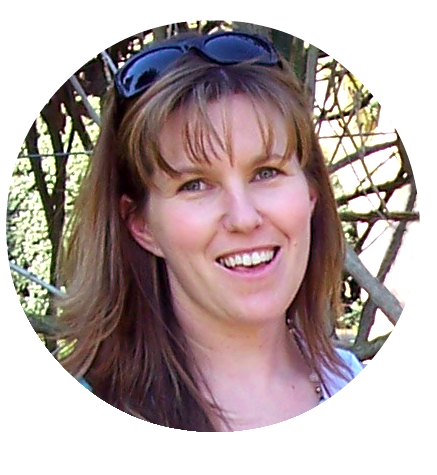 Perfect for promoting early maths skills and building language as shared by Let Them Be Little. 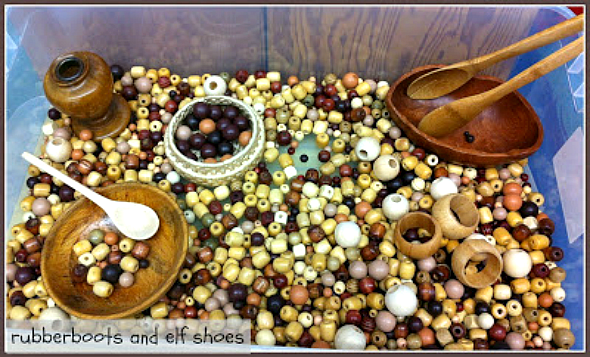 This might take a while to collect this many wooden beads but just imagine the type of play it would encourage! I love this idea from Rubberboots and Elf Shoes. 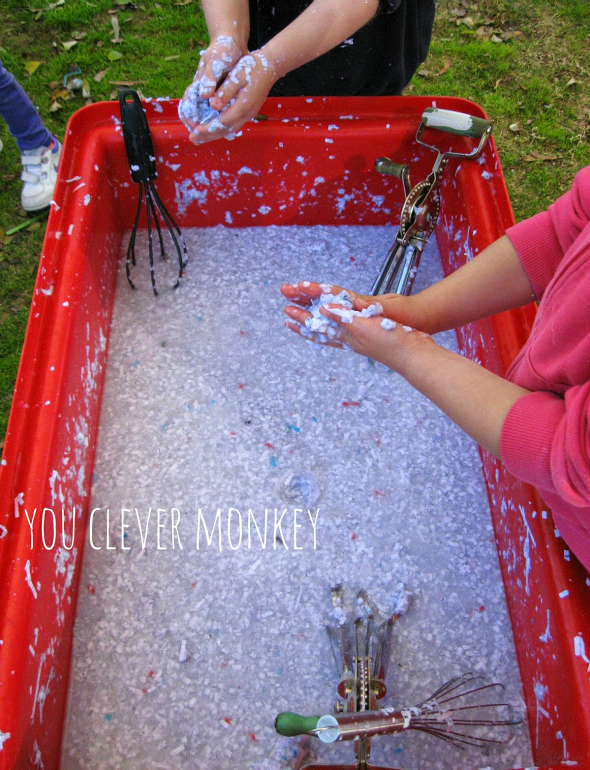 Another quiet sensory rich material to try except for the squeals of delight when children start to play! 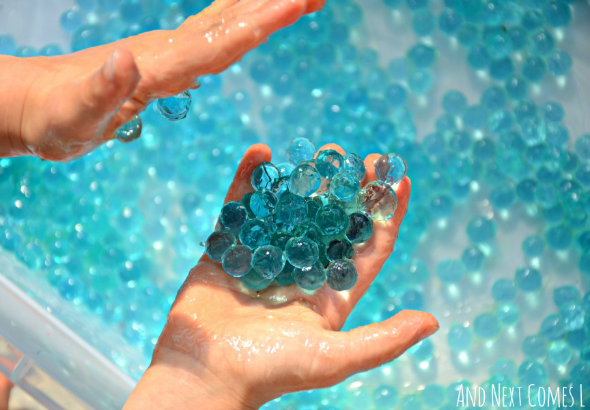 Just add water and watch with amazement as the water beads grow and grow right before your eyes. These things are super bouncy and shouldn't be used around any child still prone to mouthing objects. 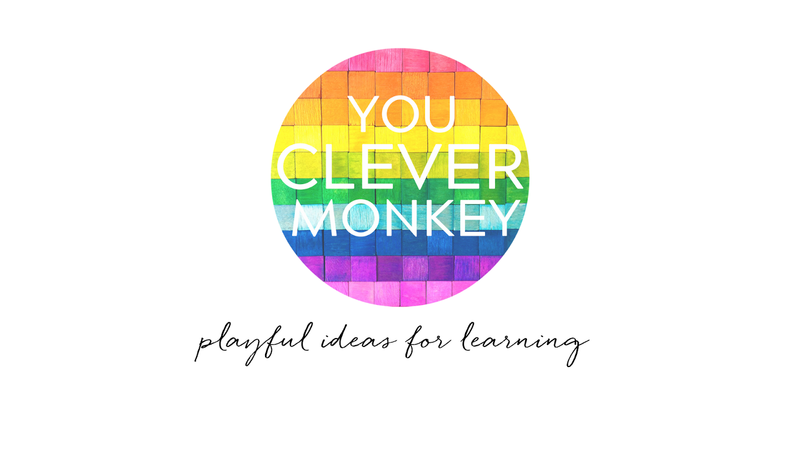 They are a fantastic sensory material for play as And Next Comes L shows us. Adding water beads to our shaving foam made for the perfect invitation to pretend as you can see from our icecream sundaes we made. 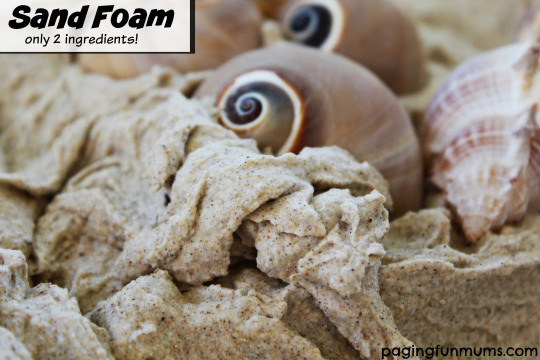 This sand foam recipe from Paging Fun Mums is simple enough to get your kids making it. 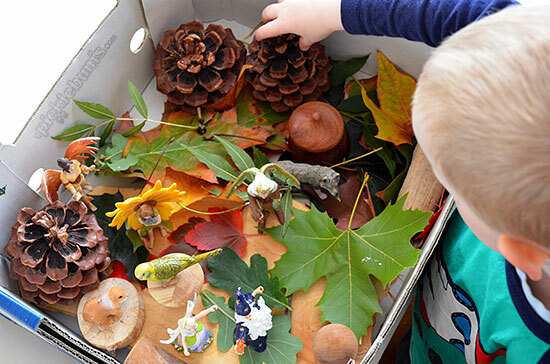 Use what the seasons provide and add some Autumn leaves to your sensory play. Picklebums did just that with engaging results. 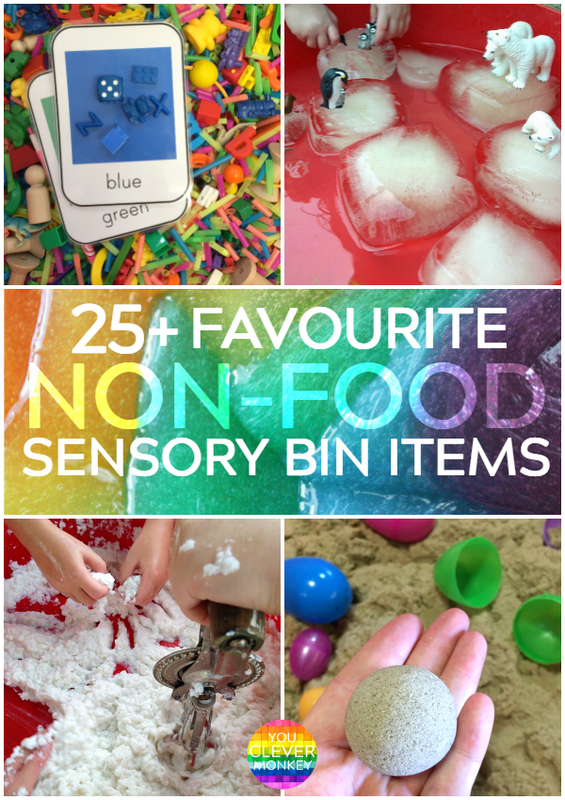 What has been your favourite non-food base for sensory play? 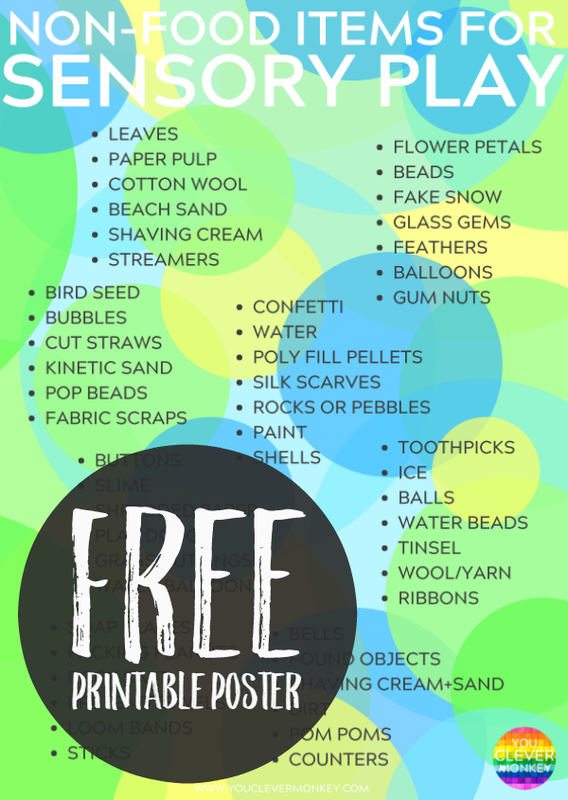 There really is more that could be in this list - shells, glass gems, fresh glass clippings, sand, pop beads, mud, water, lids, buttons, cotton wool, tinsel, bells, fake jewels, petals, packing peanuts, coloured sand.... What would you add? 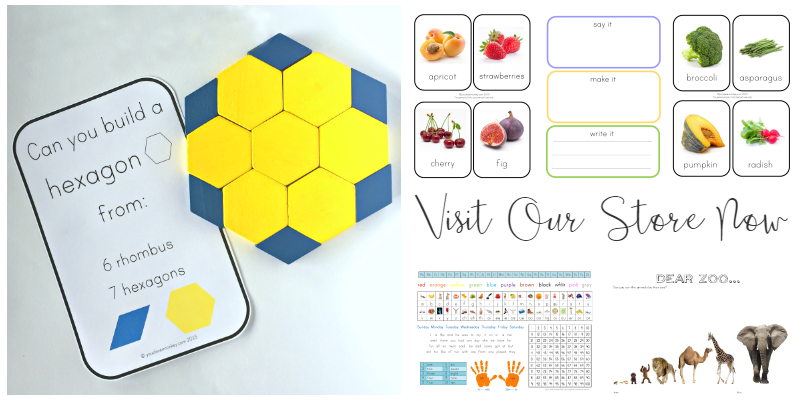 We created this helpful FREE printable to keep as inspiration in your classroom!